Aurora Teddy and Kitty Review! 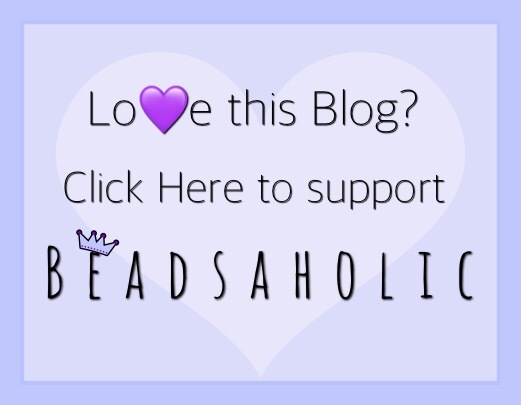 Today Beadsaholic brings a review of Aurora Charms Teddy and Kitty Beads! If you are not familiar with Aurora Charms, then I suggest taking a closer look as they have some truly cute and beautiful beads! Aurora is based out of Ireland and you will find that many of their beads are influenced by their culture, like the previously shared Glass and Silver collection, which I have used a couple of beads from that collection in my composition below. The Glass and Silver collection which can be seen here, are some of my favorite beads. However, today I’m sharing two of the cutest beads from their Cute and Cuddly collection, which are truly adorable! I have placed both Aurora Kitty the Tiger Charm and Teddy the Bear Charm with Aurora’s Irish Celtic Eternity, Irish Celtic Shamrock, Trollbeads Emerald Tiger and two Malachite. Aurora Kitty – Tiger Charm is too adorable for words! This is one cute and playful baby tiger, ready to pounce. I plan to wear him in my LSU composition this football season as the mascot, so watch out for him on social media! Tigers are the power house symbols often used in many different cultures as they symbolize power and strength. Kitty measures approximately 16.58 mm high x 8.65 mm wide and retails for €39.95, including vat. I love how his tail curls up on his back. Aurora Teddy – Bear Charm is a must have for teddy lovers as he is just adorable. This is a beautiful highly polished bear, with a cute little face. Would be perfect in a family, childhood or baby bracelet and would fit well in any composition. Teddy measures approximately 12.05 mm high x 10.12 mm wide and retails for €34.95, including vat. Cute & Cuddly is the perfect name for this collection! Over all, if you like cute and cuddly designs, then you will love these beads! The Tiger is my favorite and I have lots of plans for this bead! In this collection they have lots of cute and cuddly animals, perfect for any animal lover. If you would like to browse Aurora Cute & Cuddly collection you may do so at any of the following links. Aurora and all featured retailers offers vat free shopping for those who live outside of Europe. Who doesn’t love cute and cuddly animals? I know I do 🙂 As always, I love hearing from you all and would love to know your thoughts on Aurora? 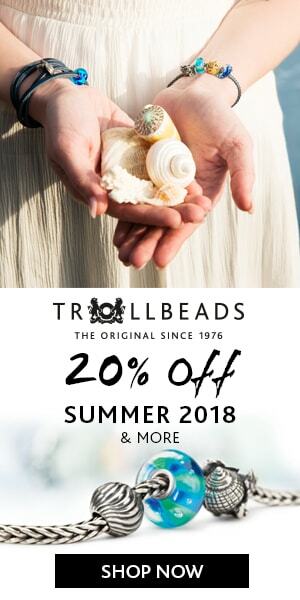 Do you have a favorite bead from this brand? Leave me a comment below!